In case you haven’t noticed, I have kind of a thing for cupcakes. 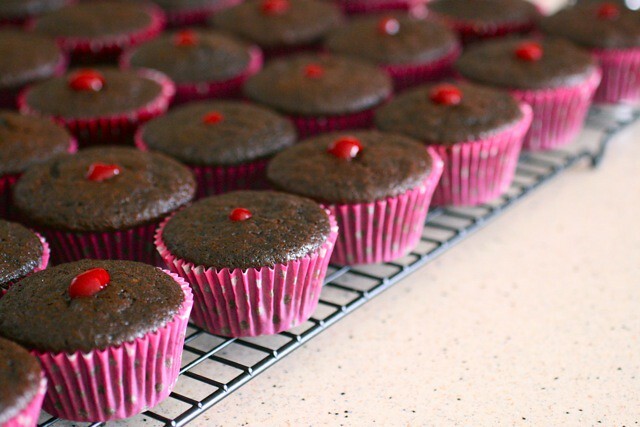 I just checked – there are 63 cupcakes on the blog so far. Many of them are filled. 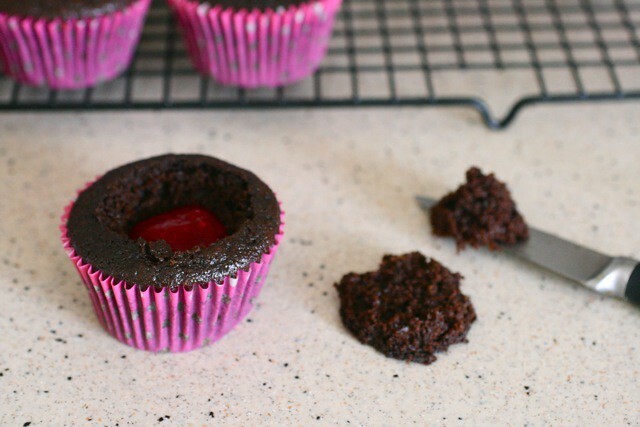 Not only does filling add an extra dimension of flavor, but people just get a real kick out of a filled cupcake. Maybe because they think it is complicated to do, and it makes them seem fancier – I’m not sure. But in reality, it couldn’t be much easier. One of the most common methods is known as the “cone method”. 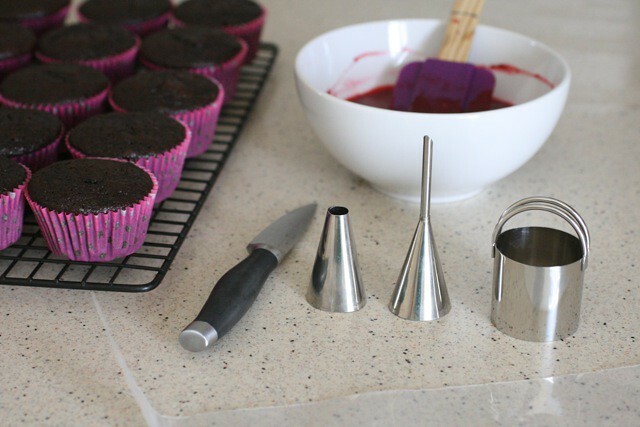 All you need is a small paring knife to cut a cone out of the center of each cupcake. The second option is a variation on the cone method, but even easier. 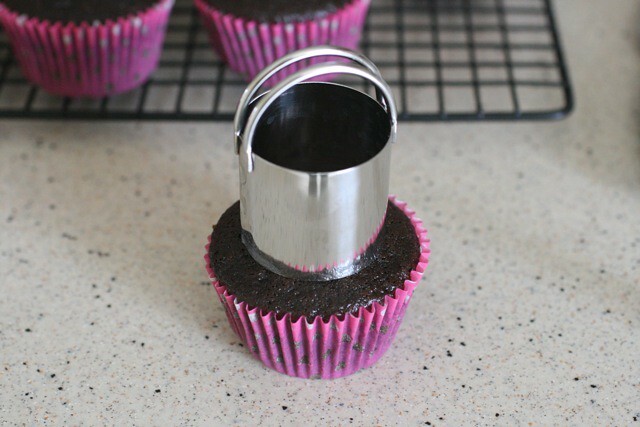 Use a small round biscuit cutter to cut a disc out of the center of each cupcake. And replace the cake disc. That’s it! Frost as desired. I like to use either the cone or disc method for more thick or solid fillings. 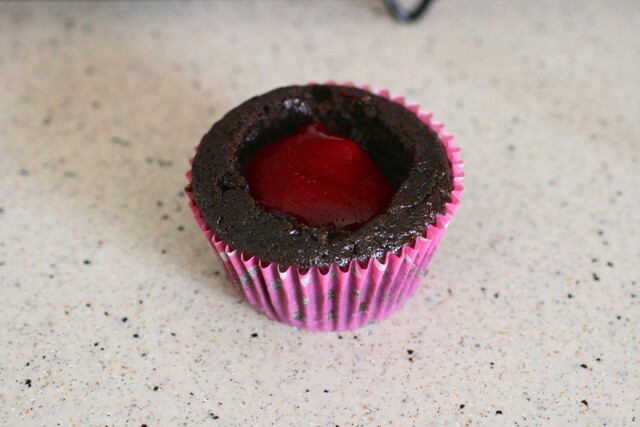 Of course, replacing the cake over the top of the filling is also optional. Sometimes I do, sometimes I don’t. 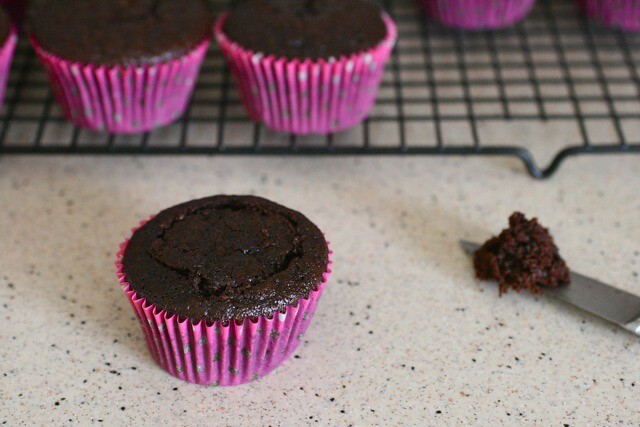 It all depends on the type of frosting you are using and the effect you are going for. The third method uses a pastry bag. 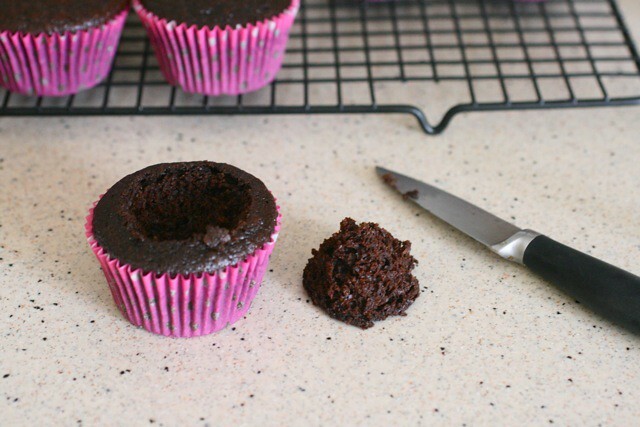 If the filling is fairly thin and totally smooth, as in this case, an injector tip works well. Otherwise, a plain round tip as shown in the first picture works just fine too. 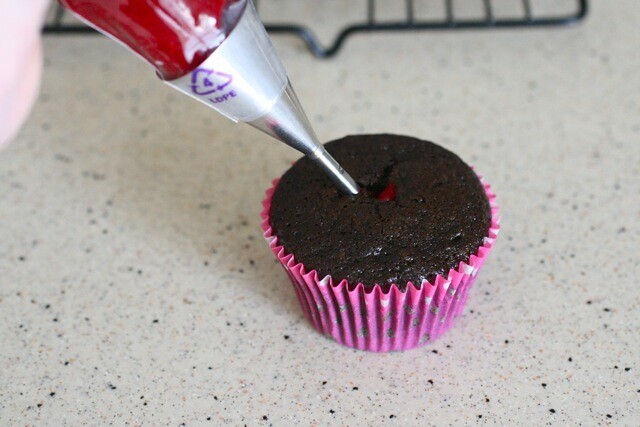 Just insert the tip into the cupcake and pipe in a small amount of filling. 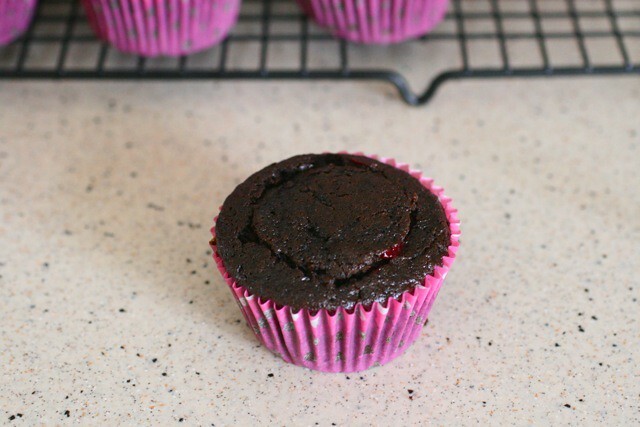 And stay tuned – I’m posting another really fun filled cupcake later this week!